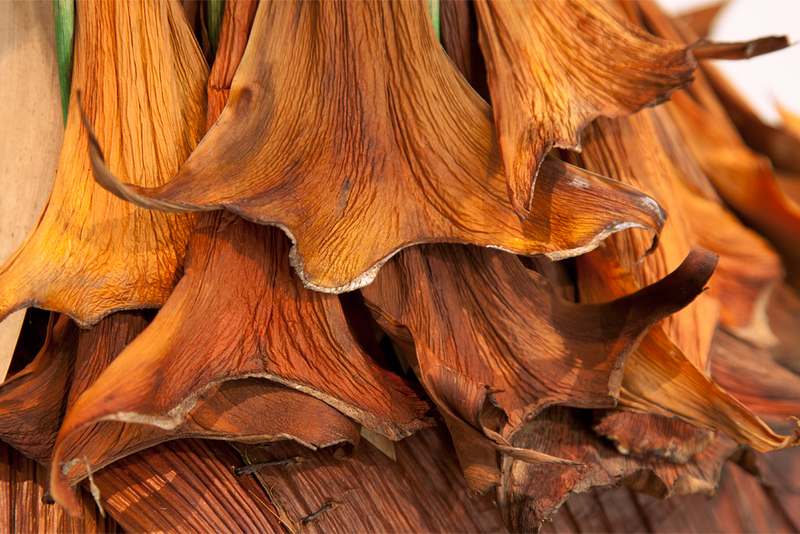 The Dracaena Draco leaf, often called Dragon’s Blood, has a red resin extruded from the plant, which was used in ancient times as varnish, medicine, incense, and a dye. 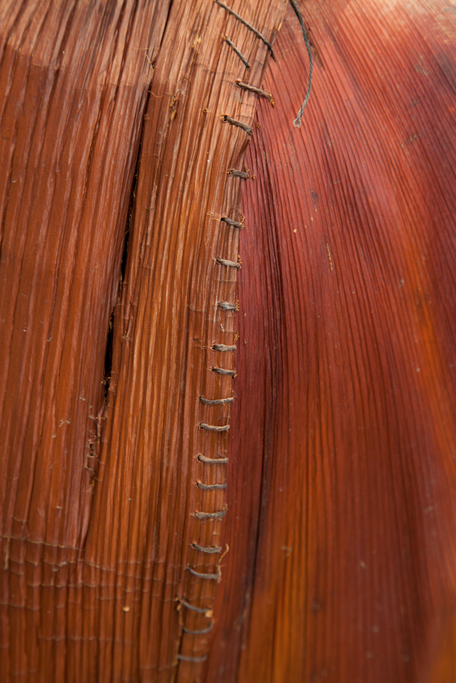 The skirt is constructed from Palm tree sheaths hand sewn with hemp thread. 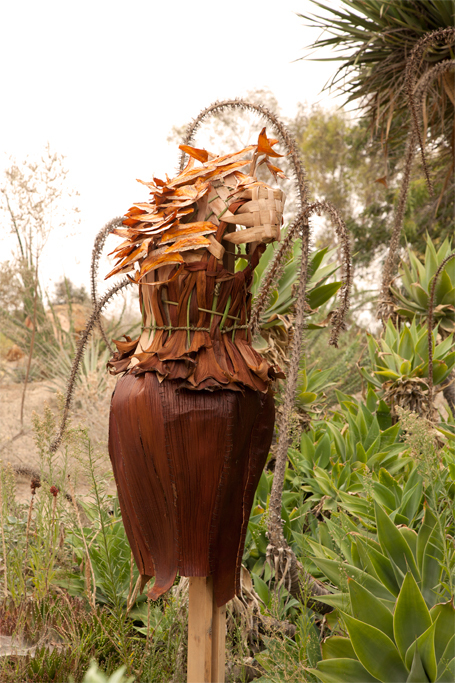 The dress was installed in the Fullerton Arboretum desert garden for 2 months. 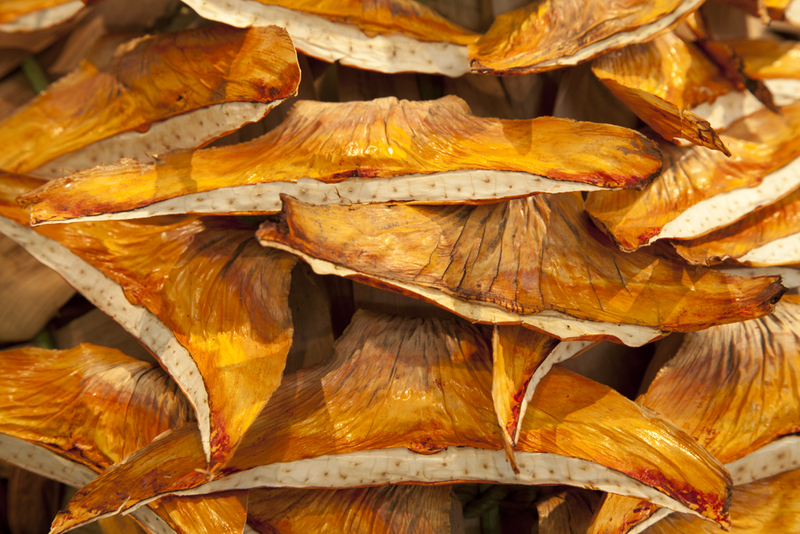 The color scheme is furthered with the addition of woven Philodendron Seloum sheaths with their flame like spiked ends. 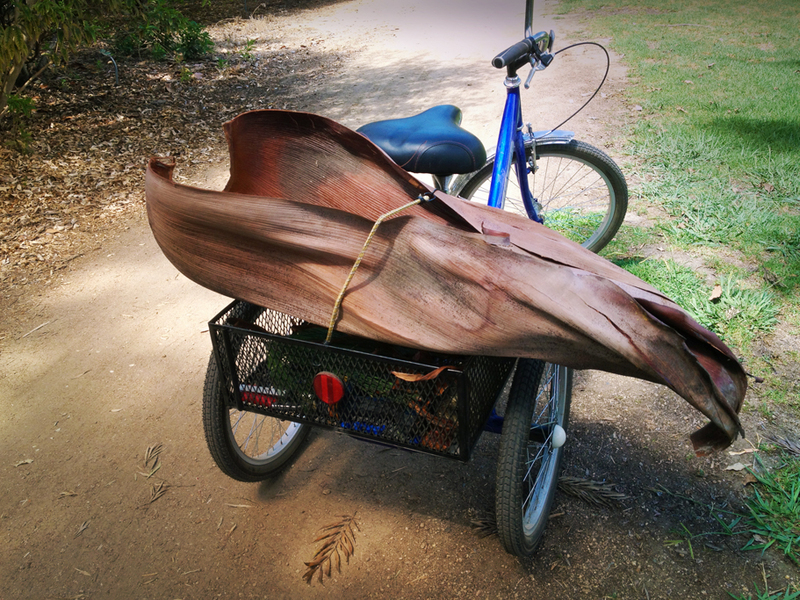 Gathering fallen sheaths of the very large Palm trees in the Fullerton Arboretum back to the studio. 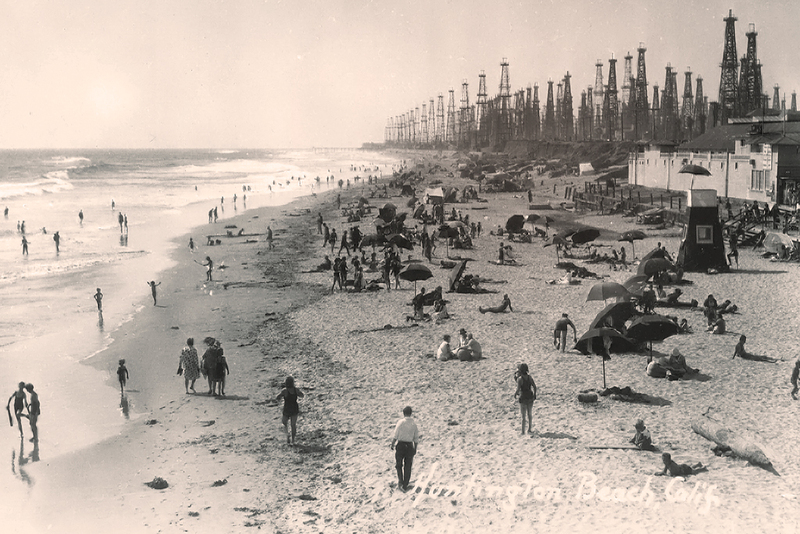 The oil boom of 1919 changed the California coast forever. "View from the Huntington Beach Pier" from the Orange County Archives. 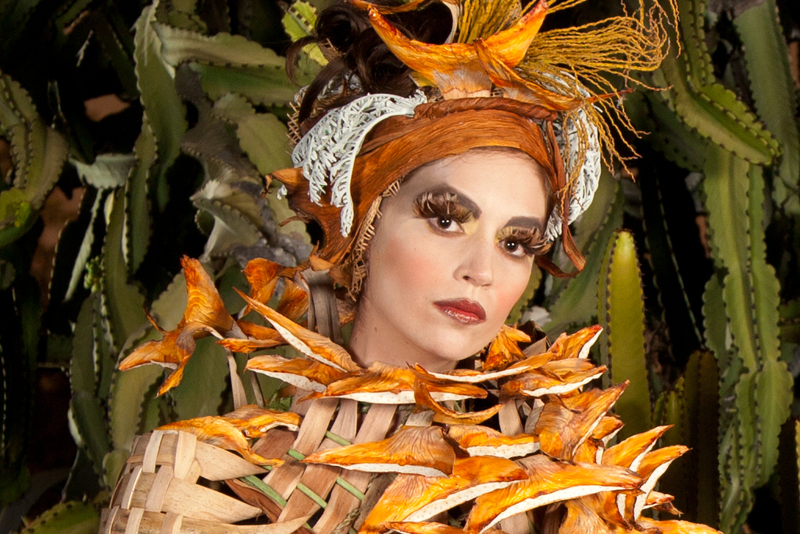 Dame Dracaena La Puente, heiress to the great Shelly oil conglomerates is still seeking paydirt with her fashion savvy. Oblivious to the environmental repercussions of her family’s over one hundred year legacy of natural resources exploitation, she still dresses to the nines to impress. Even though the oil wells dried out years ago, her privileged LA upbringing entitles her to the finest luxuries.